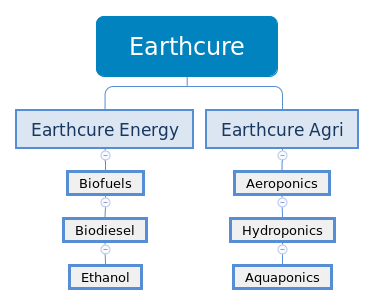 Earthcure is the result of what happens when a group of people come together and look to try build a better future by trying to tackle some of the futures problems. The structure of the undertaking is summarized below, encompassing Energy and Agri divisions into an integrated environmentally and economically sustainable project. Central to this vision are a commitment to the provision of quality, locally grown and manufactured products that meet the needs of people and and support the environment.